I've recently been examining how things are valued, from products and services to intellectual properties and entire companies. There are many ways that value is determined, depending on what is being sold and who is buying it. Above all else, those are the two most important factors. Market Value is "the price at which an asset would trade in a competitive auction setting. 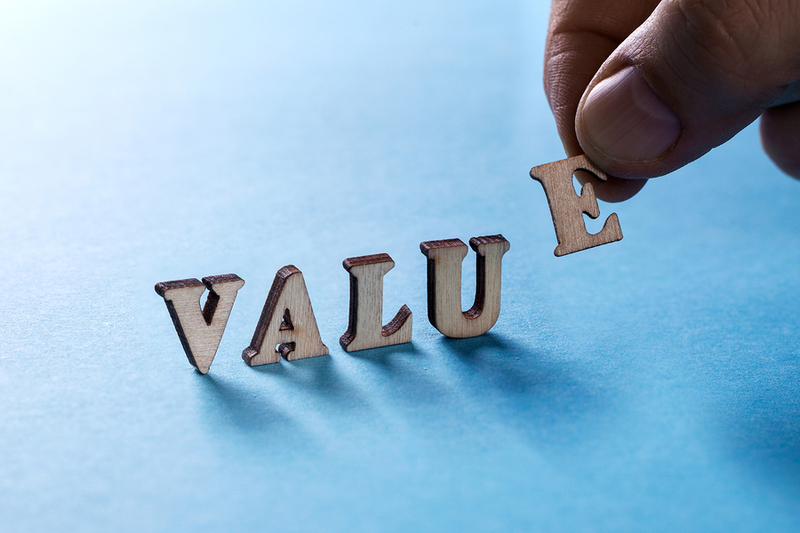 Market value is often used interchangeably with open market value, fair value or fair market value, although these terms have distinct definitions in different standards, and may or may not differ in some circumstances." I recently traded my phone in and the fair market value was lower than what I was expecting, but I had initially went into the transaction thinking anything for my old phone would be great, so it was still a bonus. If you've ever traded in an older car toward the lease or purchase of a new car, you probably have experienced the disappointment in the trade-in value the dealership offered, even if your car was in perfect condition and had lower miles. It is only based on what they could get for it at an auction, not what they think they could sell it for on the lot. Jumping up to homes, this can vary greatly depending on location, lot/land size, age, quality of construction, and many other factors. This is how the same house could be worth $100,000 more in a neighboring city or county. In most cases sellers think their home is worth more than what the buyer is willing to pay or the bank is willing to finance. In rare occasions, you have people who will pay above what the bank is allowing (i.e. more than market value) because of the uniqueness of a property. There are also things that are bought and sold through specialty auctions or online stores that don't really have a standard value. Sometimes the uniqueness or rarity of an item really drives up the sale price, such as with collector's items. This is how a painting can sell for tens of millions of dollars. For businesses, there is book value, which is generally just looking at its accounting of income and assets vs. depreciation and liabilities. For many companies, using the book valuation method leaves a lot on the table still. This can be enhanced by the brand value, which may include the company's reputation among buyers or clients. It also doesn't take into account companies that may have huge overall value but are not profitable. A great example of this was Twitter, which didn't generate a profit during its first 12 years of operations, yet was worth billions of dollars all along. Newer businesses can have some hurdles to determining valuation. When raising money for startup valuation, investors and entrepreneurs look at anything from patents or copyrights to management team and track record to of course market potential. Most of this is speculative, which is why investing in startups is very risky, but when something takes off it can be very lucrative - enough so that one big hit can easily out-perform all of the losses. Tech startups get the most buzz and also raise insane amounts of money sometimes before ever even having a working product. But, when it hits, it can be worth billions. Is there a valuation method above that seems to be the right fit for your company? If not, don't worry. Just because there are typical groups or patterns, it doesn't mean those are the only ways of determining value. Case in point, I recently had partial ownership in some intellectual property that we were shopping around for buyers. We knew we had a range in mind we were looking for, and we were determined to get it. The problem was, the potential buyers were only fitting it into their own business formulas to see how much it was worth to them. We knew that we just had to keep looking for the right buyer, and eventually we did. Yes, we could have gone for the quicker sale and accepted less money based on some market valuation that we were being pitched, but in the end we knew it was worth more and were willing to wait. There are other ventures I'm currently a part of or working on that have somewhat similar situations - book value or market value don't tell the whole story. Brand value, uniqueness and potential market share play a huge role on the continuing valuation. The great part is, if you're not desperate to sell, you can usually find the right person willing to pay the price you're looking for.